Good things often come in small packages. But not all of these things are…well, affordable. Ironically, earlier this year, just after I began to evaluate and review the superb TitanSDR Pro, a robust military-grade SDR, I was approached by the UK-based manufacturer of the SDRplay RSP software-defined radio and asked to review their receiver. I was instantly intrigued––and, truth be told, just a bit amused, considering the difference between these two receivers. And what, exactly, separates the SDRplay RSP from the TitanSDR? At least $1350. 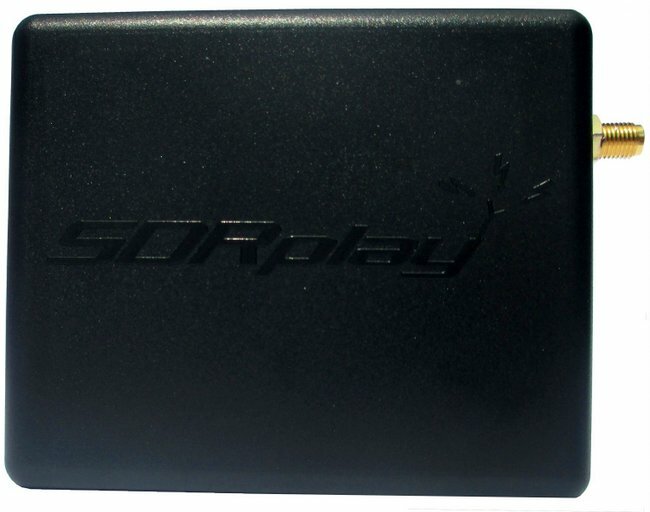 The SDRplay RSP is one of the recent generation of economical wideband SDRs based upon innovative, inexpensive chipsets; in the RSP’s case, based upon the Mirics MSI3101 SDR chip, and a MSI001 tuner. Priced at a mere $149 US (plus shipping), the SDRplay RSP is one of the least expensive, yet full-featured SDRs which actually include the HF bands and below, and which require no extra upconverter. 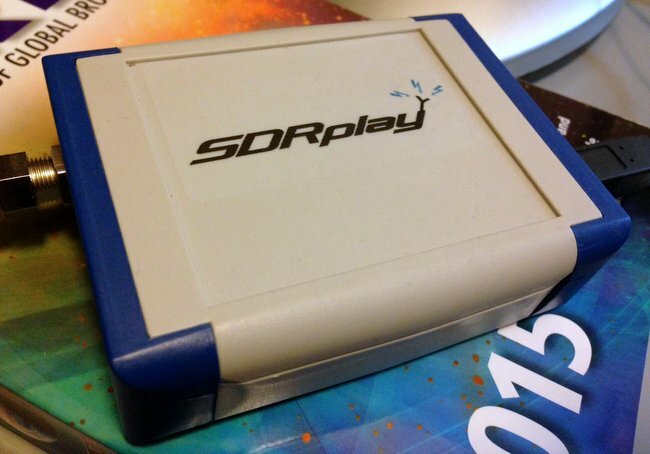 Preliminary reviews of the SDRplay RSP were quite positive, so when the folks at SDRplay requested that I review an RSP on loan, I immediately seized the opportunity. My review unit of the SDRplay RSP has blue ends caps and an F style connector. All current production units have the new back case and SMA connector. 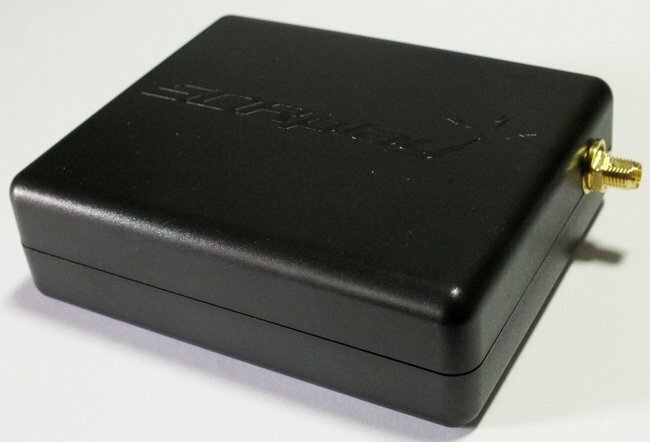 My SDRplay RSP arrived in a modest well-padded box. And what was inside? Only the SDRplay RSP and a small F-to-BNC adapter. You’ll need to supply a USB cord, as it’s not provided by SDRplay. If you’re like me, though, you already have a number of these around; I prefer USB cables with ferrite chokes (click here for an example). 1) the F style antenna jack has been replaced with the more common SMA connector, and 2) the chassis color has been changed to black. There are only two ports on the RSP: the antenna port, and on the other side of the box, a USB B-Type port (see photo above). Connecting it to your computer and antenna are a cinch. The RSP’s chassis is made of a strong, lightweight plastic. A very simple design, and one that, I expect, would easily survive the rigors of my favorite brand of one-bag air travel to international DX destinations. Unlike many of the other SDRs I’ve reviewed in the past (see the Elad FDM-S2 and TitanSDR), the SDRplay RSP does not come with a proprietary (OEM) SDR application. Meaning, the SDRplay company does not make their own SDR application that controls the RSP. 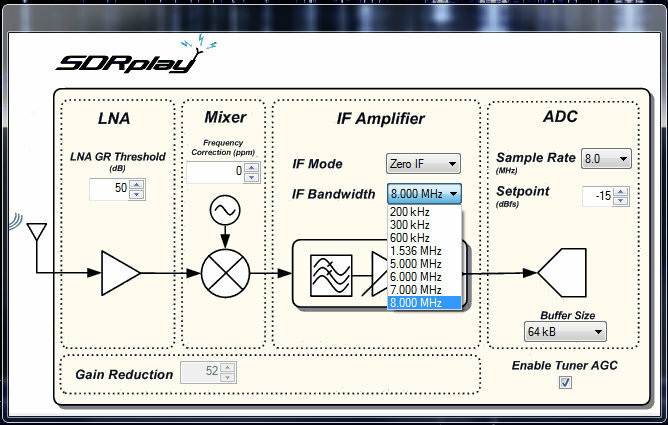 Instead, SDRplay provides an API to allow application and demodulator development. There are already plug-ins for third-party SDR applications (like SDR# and HDSDR, for example); once installed, these plug-ins create an excellent compatibility bridge with the RSP. But note that since the SDRplay RSP relies on third-party applications, the installation process isn’t exactly plug-and-play; you must typically download USB drivers, then the SDR application of your choice, and finally (typically) a dedicated plug-in for the software. Yet it’s not a complicated process by any means; SDRplay’s website has links to all of the necessary downloads (http://www.sdrplay.com/downloads.html) and installation manuals (http://www.sdrplay.com/documentation.html). No intimidation factor here. I should also note that I’ve always been a fan of SDR manufacturers offering open compatibility with third-party applications; in fact, when hardware manufacturers have approached me in the development stages of product design, I always suggest they leave room for third-party development. Why? First, as free SDR apps are so widely used in amateur, scanner, as well as shortwave radio circles, there is already a very large user-base for support when you have compatibility issues. Additionally, third-party applications often work on multiple platforms, like Windows, OSX, Linux and even Android/iOS; OEM application tend to work only on Windows OS. Secondly, if you’re already using, for example, HDSRDR to control a radio, adding the SDRplay RSP is very easy, and as a bonus, you’ll already be familiar with the user interface––there’s hardly any learning-curve involved. Finally, I find I’m much less concerned about product obsolescence when hardware is designed to work in such an open-development environment, thus indicating greater potential for forward-compatibility. Of course, on the flip side, not having an OEM application means that troubleshooting is often more difficult. If you encounter a problem you’ll have to determine whether the problem lies with OS, computer/tablet, USB driver, SDR application, or hardware––or whether the problem is in a combination of two or more of these, or the communication between them. Fortunately, I’ve been very pleased with the SDRplay support team; this group has promptly addressed any questions or concerns I’ve had. Moreover, the RSP also has an active forum of users (http://www.sdrplay.com/community/). In most reviews, I focus the majority of my SDR review upon the pros and cons of the application’s user interface. In this case, since the SDRplay RSP is using widely-distributed third-party applications, I can focus primarily on the SDR’s performance, instead. The ExtIO screen–available in your application of choice via the RSP plugin–allows you to change the RSP’s IF Bandwidth/Mode, LNA GR Threshold, Mixer and ADC settings. “We should be compatible with any SDR application that supports the EXTIO library––this is what we are using for SDR# and HDSDR. [We] should also be compatible with any Linux application that uses the gr-osmosdr interface library (such as GQRX and Gnu-Radio). …A Raspberry Pi 2 application? I, for one, can’t wait to try this in the near future––! For this review, I used two favorite apps with which I’m familiar: SDR# and HDSDR. I should note here that the SDRplay RSP also has an exceptionally wide frequency range covering from 100 kHz to 2 GHz, with only a narrow gap between 380 MHz and 430 MHz. With the appropriate software, you can use the RSP for a number of applications, for example, scanning, FM DXing, and possibly even radio astronomy. So, how about receiver performance? I’ll going to cut to the chase here: For the $149 price tag? I’m very impressed. Keep in mind, this is the first SDR I’ve ever reviewed––or even spent more than a few hours exploring––that costs under $400. My only other experience with a low-cost SDR was a few hours spent with the Funcube Dongle Pro+––a popular wideband SDR dongle that also covers the HF spectrum. Frankly, I was disappointed with the Funcube Dongle Pro+, which I found subject to unwanted noises and even some imaging, which I assumed might be indicative of this class of SDR. Fortunately, I’ve not experienced this sort of thing with the SDRplay RSP. In short: I fully expected $149 performance out of the RSP, but was very surprised to find performance on par with a receiver two or three times this cost. So for comparison purposes, I chose the Elad FDM-S2 as the benchmark. I currently have three other SDRs in my shack, but the FDM-S2 is the next-lowest in price (currently listed at $539). But to be quite clear: the FDM-S2 is a pretty high benchmark, as I consider it a superb receiver for its price class. When I first turned on the RSP and tuned through the HF bands, I was quite amazed at the relatively low noise floor of this receiver. Stations seemed to “pop” out of the static. I had assumed that the SDR# application had some sort of DSP noise reduction engaged, but this proved not to be the case––I confirmed the same low noise floor level via the HDSDR application. SDRplay actually gave the RSP to me on an extended loan, so I’ve had the opportunity to use it both in quiet winter conditions and more unsettled, noisier conditions indicative of spring and summer here in the US. I used the RSP almost exclusively for two weeks in an effort to uncover its most notable strengths and weaknesses. But by the end of the two-week period, I began to suspect that the RSP might actually have sensitivity on par with my other SDRs. To answer this question, I turned to A/B comparisons with the FDM-S2. I believe the following is a good representative comparison between the SDRplay RSP and the Elad-FDM S2. The following recordings are of Radio Riyadh on 15,225 kHz. Riyadh’s signal is quite weak and voice levels are barely above the noise floor. 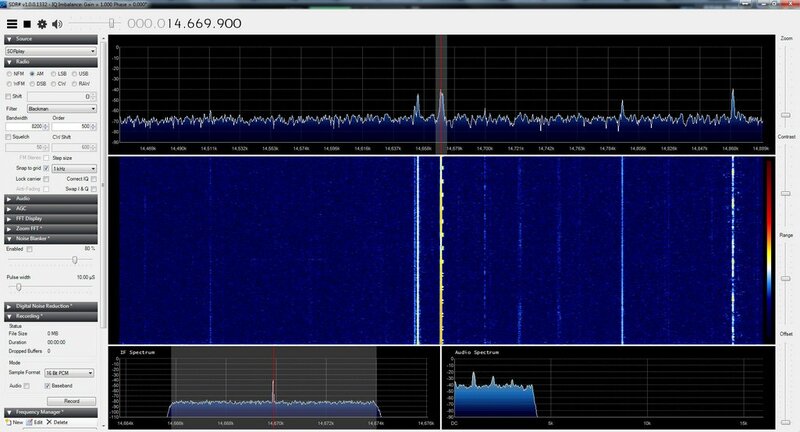 Both the Elad FDM-S2 and SDRplay RSP (via HDSDR) were set to a slow AGC, AM sync, and a 8.2 kHz bandwidth. In this representative sample––and pretty consistently throughout all my comparisons––the FDM-S2 was able to pull voice and music out of the noise better than the RSP. In weak signal DXing, this is important, especially when you’re listening for a station ID. So would I ever replace my FDM-S2 with the RSP? No. Still, for a $149 receiver? This performance is most impressive! The RSP is only a little less sensitive than my much pricier SDRs. I walked into this product review expecting to be…well, disappointed. As I have some benchmark SDRs on my desk at all times, I hadn’t investigated inexpensive SDRs because I felt they would simply be redundant. Fortunately, the SDRplay RSP really impressed me from the beginning with its low noise floor, variable IF bandwidth options, and relative ease of installation. Since the RSP only requires one USB cable for both data and power, it’s also an ideal portable SDR. Up to this point, I’ve always hesitated suggesting that those interested in a beginner’s SDR invest in any sub-$200 SDR, unless they simply want to get their feet wet and aren’t interested in performance. But at $149 US––the price of a good shortwave portable radio––I can confidently recommend at least the SDRplay RSP to those readers who want to start out with a good-quality rig. Indeed, for many, it might out-perform other receivers in their shack. I see the RSP having a place in my shack as well, especially on my portable shortwave listening adventures. If you’re looking for a quality first SDR, or, like me, are interested in a supplemental or remote receiver that won’t break the bank, the RSP is just the ticket. And at just $149, you simply can’t lose. Meanwhile, what’s next for me? I plan try the RSP via the Raspberry PI 2 and my newly acquired Dell Venue 8 tablet. This entry was posted in New Products, News, Reviews, Shortwave Radio Reviews, Software Defined Radio and tagged RSP, SDR, SDRplay RSP, SDRplay RSP review, Software Defined Radio on July 3, 2015 by Thomas. Recently I had the opportunity to try SDRPlay for own use (two different units from same seller). I must say that does a decent job in VHF and UHF, good sensitivity and reasonable overhead, but in HF, which is my main area of interest, was practically unusable. I found a lot of images signals, spurious or ghost that made non comfiable for finding signals. I see many people are happy with it and I think it was my mistake, but I connect my other SDR receiver, an SDR-IQ, and all is well. No ghosts or anything weird. SDRPlay has some secret or should I connect some external filter to work well in HF? I do not know… Really I like this SDR, for low price and easily use. Comparing with AirSpy who’s the winner on HF and separately on VHF/UHF ? SDRPlay or the Airspy2? What was your antenna for the SDRplay ? Hi, Mike, I was using a large sky loop antenna. Now comes the installation on Raspberry Pi2, certainly more difficult. I believe the latest SDR# will not work with SDRplay. You can still download the latest “older version” from one of the links in Thomas’ SDRplay ESP review. I just can’t say enough about the SDRplay. Talk about “bang for the buck”!!! Yes, at some point I will spend between $600 and $1000 for a higher end SDR. But being a utilities DXer most of my years the SDRplay will be used as a channel monitor. Most likely on an HFDL frequency. Or as Thomas mentioned as a wonderful portable. 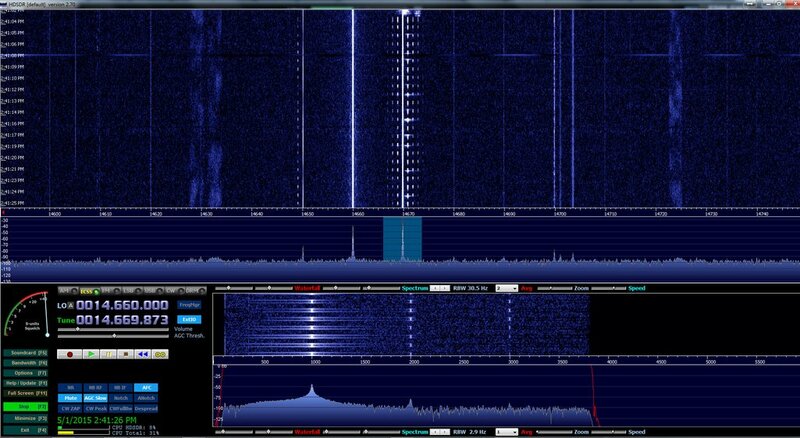 What is the trick to make SDR# work with the SDRplay-radio? Yes, i have the extIO.dll but i cant seem to make the SDR# “know” i have attached this radio to my usb-cable at all.. Both HDSDR and SDRcom works all nice. Excellent comments everyone. Question: has anyone compared the SDRplay w/ decent antenna to the PL-880 w/ same antenna? Similar $$ investment if you have a tablet or laptop laying around. Thanks for the useful references, Paul! As with many value priced electronics it appears to be a juggling act between features and performance with the SDRplay. After reading Phil and Leif’s comments and measurements, I think the balance leans heavily on the features side. For the radio enthusiast new to SDRs the SDRplay would be a great introduction. In a supporting role to my FDM-S2 however, I think my Afedri SDR-Net will be staying put. Just curious if you ever got this unit running with a Dell 8 tablet. I was hoping to do the same. Good question, Chris. Actually, I did not. It wasn’t SDRplay’s issue, it was an ongoing issue with the refurbished Dell tablets I had purchased. I had three in a row that failed on me. I simply haven’t purchased another and will most likely get a larger screen or laptop. Have you tried running a small SDR on your tablet with any success? Regarding tablets – I quite like my Dell Venue 8 Pro (which I’ve had no problems with), but the HP Stream 7 is also very nice (and affordable) as well as some various low-priced tablets available at Microcenter.com – all windows tablets. That said, I enjoyed this review and this SDR looks interesting. The exact same chipset is also used in the commradio cr-1a which is a top notch receiver. in comparison tests sdrplay stacks up very well. The RSP is clearly an impressive value at $149 USD. Congratulations to the SDRplay team on their efforts! I also applaud their publication of many of the technical details and measurements at http://www.sdrplay.com/docs/SDRplay_Technical_Information_r1p2.pdf. I’m always happy to see such information available from manufacturers, as it provides a baseline for the more technically inclined users and reviewers to do their own independent comparisons. Thomas, the modest difference in your Radio Riyadh recordings might be attributed to the phase noise measurement of the RSP on the HF range. Lower is better in this regard, provided you are comparing equal spacing parameters (kHz). From SDRplay’s charts, Phase noise on HF is about -101 dBc/Hz at 10 kHz spacing. I’ve been trying to find the measured or specified phase noise for the FDM-S2 and cannot locate it. However, for comparison’s sake the much more expensive ($999 USD) Microtelecom Perseus has a phase noise measurement of -140 dBc/Hz at 100 kHz. Another even pricier SDR, the RFSpace NetSDR is $1449 USD and has a phase noise figure of -152 dBc/Hz at an even tighter 10 kHz measurement. It’s my guess that Radio Riyadh was simply buried to a greater degree in the RSP’s internally generated phase noise, compare to the FDM-S2. This is not to knock the SDRplay’s RSP at all, but just to point out one of the differences found across a wide price spectrum. I enjoy my FDM-S2, but the “bang for the buck” of the RSP places it at the head of the class for pure *value*. BRAVO, SDRplay team! Finally, Thomas, have you noticed any RFI emitted through the RSP’s plastic case? Do you hear any spurious signals when using a portable AM/shortwave radio nearby? I’m sure the SDRplay engineers considered emitted/received RFI carefully before choosing a plastic enclosure. Very good point, Guy. You are probably right. Honestly, as you’ll note in most of my reviews, I simply report what I hear. I don’t always fully understand the engineering behind it, so rarely speculate. I truly appreciate your input! I have not noticed any RFI emitted through the RSP’s case. Indeed, when I plug and unplug the RSP, I can’t see a hint of RFI in the waterfall of my other SDRs. Lately, I’ve had a roll of positive reviews. In truth, this happens because I often select the things I want to review and don’t want to spend my time with something I know I won’t like. I mean, who wants to invest the hours upon hours of testing and writing a review only to knowingly have to give a negative assessment? Reviewing the RSP was never on my agenda because, as I mentioned in the review, I had assumed its performance would match its low price. The RSP truly surprised me and surpassed my expectations. It is a value at $150 and I hope that anyone who has been on the fence about getting an SDR will give the RSP a go. Wow this SDR sounds very sweet. I have a number of SDR’s already but this one has a great advantage over the WinRadio Excalibur I sometimes drag out of the shack and travel with – that being no heavy power supply to pack! Sometimes I feel like packing my WinRadio for my frequent trips, but then don’t take it as it requires stuffing around and fumbling behind the shack desk and disconnecting the antenna and fishing out the power supply (first world problems LOL!). At this bargain price I will be keeping the SDRplay RSP in my travel kit bag always ready to go! I am really excited to try this receiver out above 30MHz. I am a flying / aviation nut as well so having an SDR on the VHF Aircraft Band will be really fun. 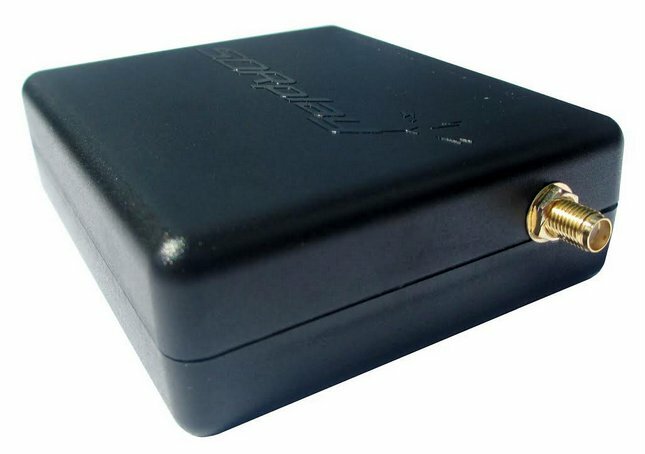 Mark: I am going to purchase this review unit of the RSP from SDRplay for the very same reason–inexpensive traveling DX! I have never really tested the RSP in an RFI-dense environment, but I imagine it will perform okay. At least, other assessments of the RSP make me think so. I’ll soon find out! And at $150, honestly, if it gets lost somewhere, it wouldn’t be the end of the world. I could simply get another. If you haven’t purchased one before the DXpedition in October, you’ll certainly get an opportunity to try it out on site! Great Review Thomas, this has to be one of the best SDR’s at the price, performance is fantastic, I’m a FAN big time, I don’t think it can be beat, and with the software fix for the UHF gap coming out, and better support in SDR-Radio by Simon Brown, it’s going to be a killer SDR, I just added a MIDI controller to it also.